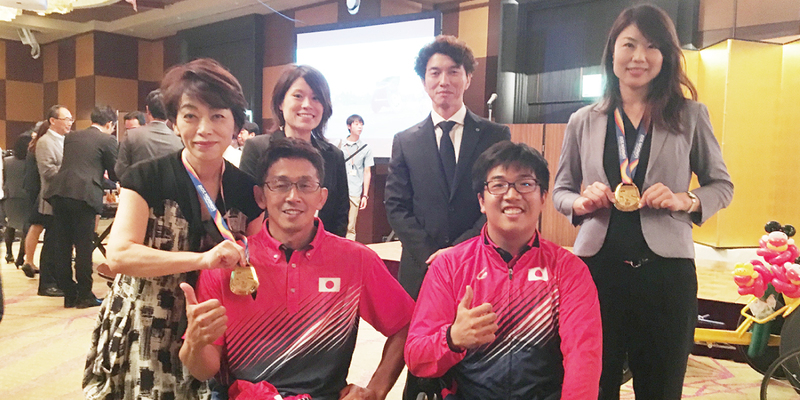 Our support for a Para athlete｜BIOBANK CO., LTD.
We Biobank sponsor the athletic activities of Mr. Hitoshi Matsunaga, an Okayama resident Para athlete. Mr. Matsunaga competed as a member of the national team that participated in Beijing, London and Rio de Janeiro. He is now in training aiming for his next chance in Tokyo. Mr. Matsunaga also deploys various efforts to deliver the joy and greatness in playing sports to disabled children and adults. We are also determined to work toward our mission to deliver the pleasure of eating and playing sports together with Mr. Matsunaga’s inexhaustible passion. *Official supporters group website of Mr. Matsunaga, a wheelchair racer based in Okayama and a member of the national team that participated in Beijing, London and Rio de Janeiro. Mr. Hitoshi Matsunaga is a Para athlete in Okayama who has participated at worldwide competitions, and a member of Japanese team that participated in Beijing, London and Rio de Janeiro. Moreover, he is active and getting ready for his chances in Tokyo. He has selected and added our OM-X product for his daily physical conditioning. 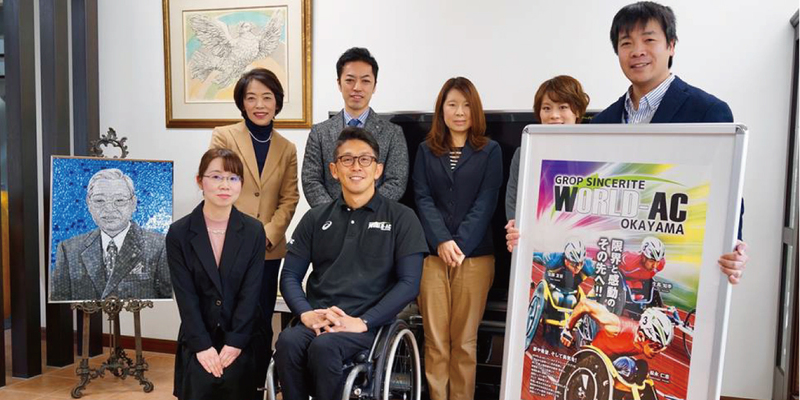 From this year, Biobank Co., Ltd will support all athletes of the GROP SINCERITE WORLD-AC (World Athlete Club) where Mr. Matsunaga is also a member. Team mates of Mr. Matsunaga, like Mr. Tomoki Sato has won gold medals at a world tournamentand holds world records, and Mr.Tomoki Ikoma holds a national record. We will share with them the slogan of the WORLD-AC as "Okayama to the World!! ", and transmit the greatness of parasports while contributing to local communities through activities with parasports. We had a visit by wheelchair racer Mr. Hitoshi Matsunaga whom Biobank gives support as a sponsor. Mr. Matsunaga have competed as a member of the national team that participated in Beijing, London and Rio de Janeiro. 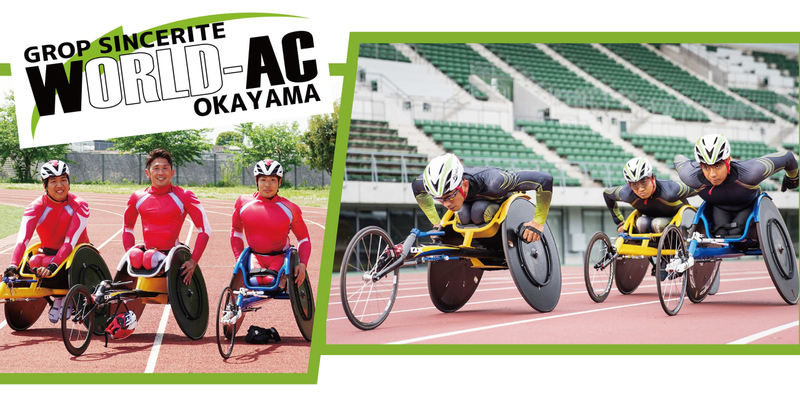 We have been supporting Mr. Matsunaga, who continues his challenges here in Okayama, as a sponsor for 10 years now, as we genuinely feel empathy for his ideal of extending the joy and greatness of sports to people of all ages with disabilities. 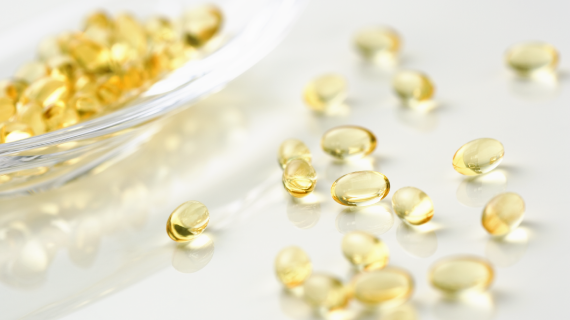 BIOBANK will give full support to Mr. Matsunaga’s activities aiming at his chances in Tokyo. We attended the report meeting of the athletes Mr. Hitoshi Matsunaga, Mr. Tomoki Sato and Tomoki Ikoma who participated in the world tournament 2017. We had a great time listening to Mr. Matsunaga about his active role as an athlete and also as a coach, how Mr. Sato and Mr. Ikoma did at the championship. Especially those two shiny gold medals earned by Mr. Sato were heavy on hand, making us re-realize that they are at the apex of the world. We hope hewill perform hisbest taking aim at his chances in Tokyo. Mr. Matsunaga,you have all our support! We have attended the report meeting of the athletes Mr. Hitoshi Matsunaga and Mr. Tomoki Sato who have participated in the track and field in Rio de Janeiro. We were allowed to hear the successful activities and the behind-the–scenes valuable talk, which was not only as an athlete, but also as a captain and as a leader of the team. Mr. Matsunaga is aiming at his chances in Tokyo. Good luck Mr. Matsunaga! We participated in the send-off party on August 8 for Mr. Hitoshi Matsunaga and Mr. Tomoki Sato who will be competing in Track & Field in Rio de Janeiro. We wish them all our best! The registered dietitian at our group company provided the personal dietary counseling to a wheelchair marathon relay team in our home town Okayama! The leader of this marathon relay team is Mr. Hitoshi Matsumaga who represented Japan in Beijing and London. Sports is not all about running with big muscles, but it can work effectively when many factors are combined such as biorhythm, mental state, intestinal environment, etc. 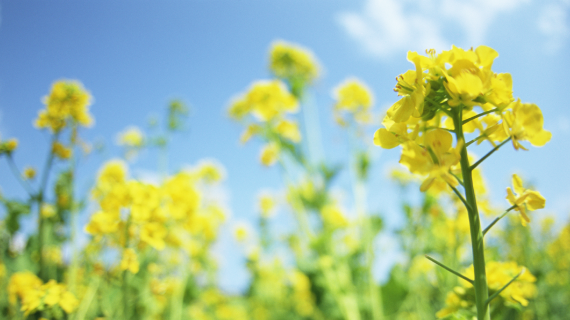 Therefore, when and what you eat are greatly involved. We would like to tell many people the importance of food through such a dietary counseling and other supportive activities. We rode bicycles and tried to catch up with them, but we could never make it as they ran so fast. We went to London to support “Mr. Hitoshi Matsunaga”, a Para athlete, who BIOBANK sponsors. 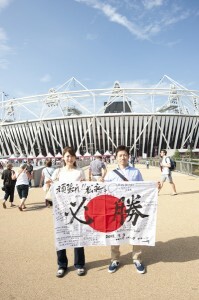 We cheered hard for him at the stadium holding up the flag of the Rising Sun full of support messages from all of us at BIOBANK. We were truly impressed by his never-give-up attitude!